No worries, it's one-click-easy to cancel at any time during your free trial. If you like us, stick around for as low as $2.15/mo. First time setting up a website? Fixing old issue? Reach our team anytime to get immediate answer. Unlimited websites. Unlimited disk space & bandwidth. Unlimited databases and FTP users. Unlimited hosting! Survival plan: basic but very cheap web hosting for 1 smaller project. Almost unlimited web hosting plan for several medium & growing sites. Best unlimited web hosting plan for multiple stable sites & businesses. 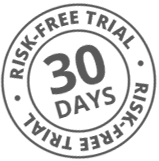 Simply try us for 30 days risk-free! You are absolutely protected by our 100% No-Risk Guarantee Program. If you are not satisfied with our services over the next 30 days after your purchase, we will send you an instant refund. No questions asked. We Are Fast. It's a Fact. Response time is 190 ms. Fastest website page loading speed. Response time is 2290 ms on average. Start your site that is fast, secure and simple to manage. All Premium and Business plans include free domain name. Register new or transfer your current domains - all for free. Daily to weekly backups to keep you and your sites safe. Download backups anytime, restore anything you need. Send and receive unlimted emails from cPanel. Create as many email accounts as you need. Complete freedom. Trying out something new? Can’t find the answer? Check our most recent how-to articles in knowledge base. Use free CloudFlare CDN to distribute content and speed up your site with zero effort! A must-have feature. Boost your website performance with SSD powered hosting. Extra boost, extra fast. Satisfy your website's need for speed & keep your budget smartly tight!